We know a little about being a PHP Development Services because we are one. Our PHP development services are extensive and our clients are very happy with the work we provide. 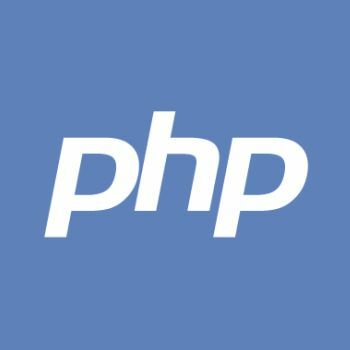 How Could You Use A PHP Development Services Company? PHP is mainly used for creating something that’s more than just a common website. We use PHP development services to create Internet and Mobile web applications. Those solutions range from an entire online business service to a private B2B system that takes customer orders and integrates them with various backend ERP systems. The sky is the limit. A lot of our clients come to us with an online business idea and we help them define that business from a technology side. Once we have everything defined and both of us are on the same page we provide a cost to implement their online business. Since we have a lot of experience with custom software development we’re able to provide some extra ideas to help increase the overall value of the client’s business model. Some companies use us as the development arm of their company. They have tried to keep talented developers but they end up developing something and then leaving. The next person comes in and tries to recommend starting from scratch. You can use us as your development department and we’ll maintain code consistencies independent of who’s working on your work. How Do You Select a PHP Development Services Company? This is where it’s easier to be on our side of the fence than your side. It’s hard to weed through the various companies that are out there to select one that will give you what you want, provide business input, provide a secure system (PCI, HIPAA, PMI, etc.) and all this at a reasonable price. Everyone will tell you they can do what you want. In our opinion it gets down to a trust factor. Unfortunately, there are a lot of PHP Development Services Companies that have left clients high and dry. You need to feel good about your decision and make sure you check with some of their references. Why is Ontarget the Best PHP Development Services Company? Our CEO is a woman so if you need a woman-owned business to do your work we’re your man (I mean woman). Our President is highly educated in web development and currently carries 7 Internet patents under his name. The owners are very ethical and are not trying to make money at all costs. They are trying to make money to help the companies they support that help orphans and women. If you use Ontarget, in a way, you’re helping others as well. We believe we provide the best value. You will definitely find people in their mother’s basement that are cheaper per hour. We believe that we will provide you with the best product at the best price. Ontarget is a PHP Development Services Company so we have a team of resources vs. just one or two. If someone gets sick your project doesn’t have to wait until that person gets back.